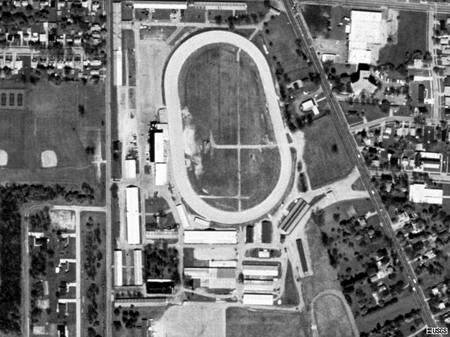 Auto racing was promoted here by Mr. Pete Spencer and co-promoted by my dad Hod Preston. Many famous drivers appeared there over the years such as Tom Cherry, Pat OConnor, Joe Quinn, Cecil Hayes, Rex Mays and many more. Pete had 2 cars running at the time with Johnny Roberts as his top driver. My dad ran his Brown Dog roadster along with the Big Cars as they were known then. Later became Sprint Cars of today. Drivers from the Hurricane Hot Rod Asso. A. A.
C. } M. M. S.
R. A. other outlaw groups ran here. They alternated weekend with horseracing then. It was a very fast ,flat dirt 5/8 mile track. Hod held the track record there with his roadster for 1 lap at 149 mph. He also had a habit of trim Mulberry Bushes which outlined turns 3 & 4. For any who remember those days also probably remember the Dixie Resturant & Bar where we all gathered after a day of racing. 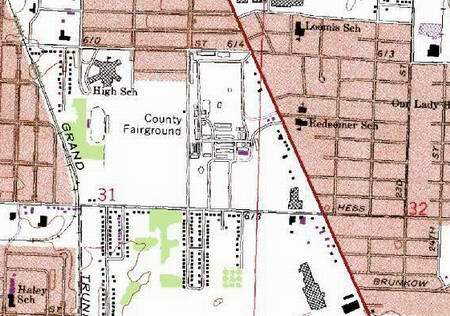 Many fond memories of Saginaw Fair Grounds. Thanks for a place to relive them. Hope to see some responses.